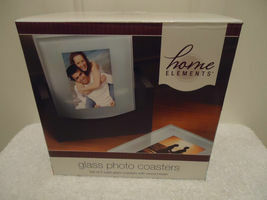 Home Elements Presents an interesting way to display your photos Set of 4 Solid Glass Coasters with wood holder Designed to display your favorite phontos. 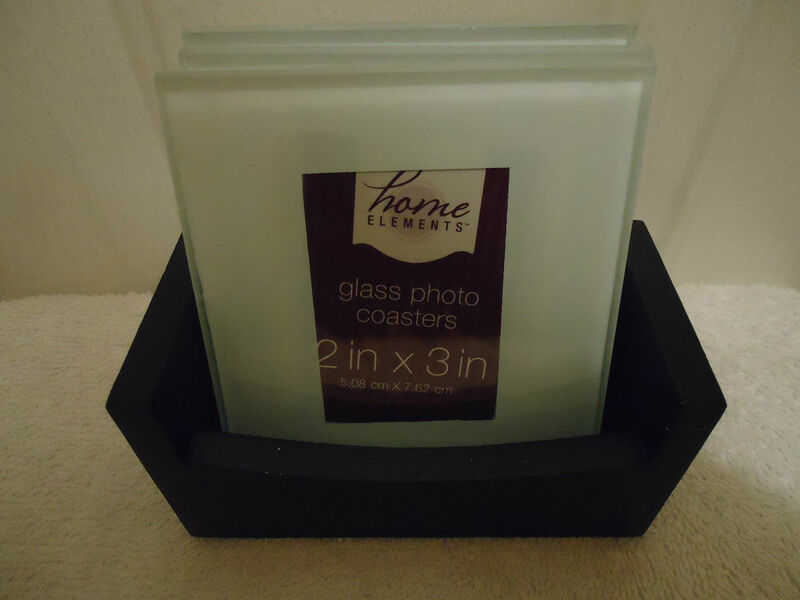 Each coaster features a solid high quality beveled glass , plus soft non skid pads that prevent slipping. 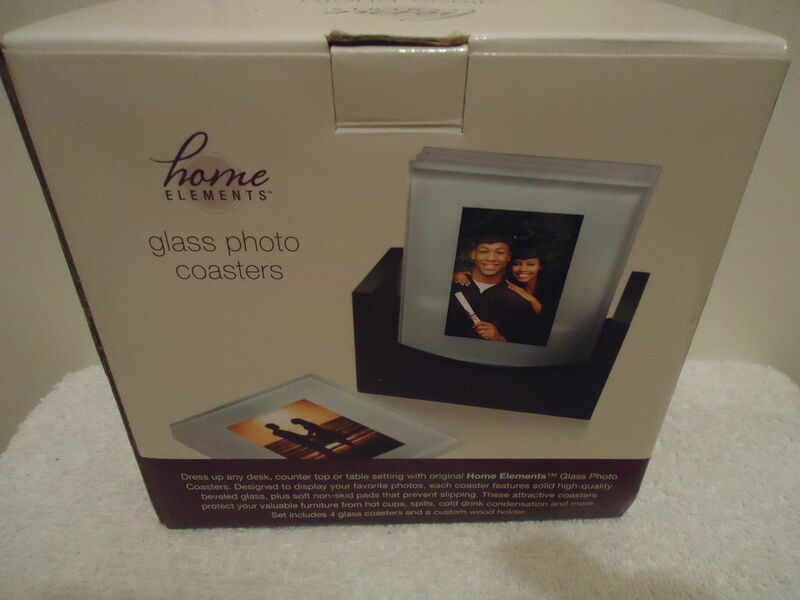 Coasters protect your furniture from hot cups, spills, cold drink condensation and more. Set includes 4 glass coasters and a wood holder in black.